This spring, delegates from The United Methodist Church will gather in Tampa, Florida for General Conference, which is held every four years. It is a time of conferencing and legislation which will affect the people of the denomination for years to come. As we prepare for General Conference, this is a great time to have some dialogue about what some positive changes might look like for the future of The United Methodist Church. Today, I want to talk about Real Discipleship. The Mission Statement of The United Methodist Church is: to make disciples of Jesus Christ for the transformation of the world. I’ve come to wonder if we really are series about making disciples. In this history of The United Methodist Church, Methodism began with John Wesley (In England) and Francis Asbury (here in America), who encouraged people to be growing in their faith. They attended Class Meetings (like small groups) where they were asked questions like, “How is your soul today.” They were held accountable for their lifestyle and faith development. In a time where we the Call to Action report is giving us 16 drivers of vital congregations- one area that seems to be left out (at least without specifically mentioning it) is intentional discipleship. In my own experience in the Methodist Church- I have seen very few settings where Pastors and Leaders are intentionally replicating themselves. Yet, if we are to fulfill our mission (to make disciples of Jesus for the transformation of the world)- we need to first make disciples. While I am not aware of any specific legislation in this regard at General Conference, this is our DNA as Methodist and if we are not engaged in the making of disciples, of replicating followers of Jesus, then what are we doing as Pastors and Leaders in The United Methodist Church? Discipleship is not a program. 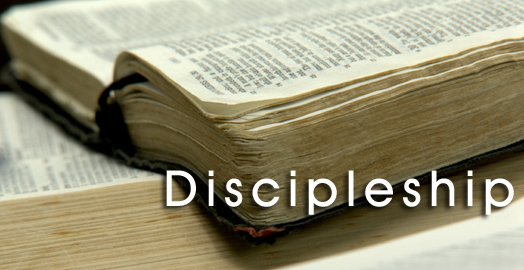 Simply having a Disciple Bible Study is not creating disciples. It may be part of it. We need Pastors and Leaders who will empower people to surrender their lives to Jesus and follow wherever Jesus leads. Pastors- who are you mentoring? Who do you meet at 6:30 a.m. in the Diner, or at the coffeeshop for a weekly cup of coffee? Are you intentionally inviting them to go deeper in their walk with God? Are you teaching them to replicate themselves? While the style of our music, or the kinds of programs we offer can help us to grow “vital churches” the Biblical model of growth is holistic discipleship that calls people to surrender their lives to Jesus, walks with them as they grow like Jesus- and releasing them into ministry to proclaim the Good News. If we want the future of The United Methodist Church to be healthy and viable- it begins and ends with discipleship. What are some ways that you are discipling someone? Any tools you’d recommend? Any great stories of being discipled by someone older than you? Does your church have an intentional discipleship ministry or track?